Atalaya Golf is one of the most popular golf resorts for on the Costa del Sol and is more often than not on the itinerary for most visiting groups enjoying golfing holidays to the Costa del Golf. Atalaya opened 1968 and is suitable for all levels of players due to the flexibility of its tees and has now become one of the most popular golf resorts on the Costa del Sol. 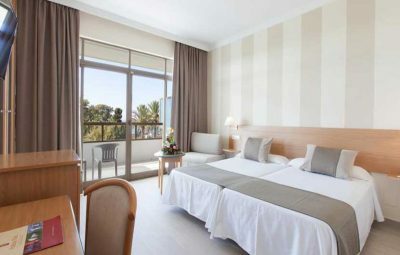 The resort is located just 15 minutes drive east of the popular Costa del Sol holiday resort of Marbella against the stunning backdrop of the La Concha Peak of the Sierra Blanca mountains. For the golfing enthusiast, Atalaya International Golf Academy offers one of the best and detailed practice courses in Spain with classes for players of all levels and taught in various languages. The golf school offers a mixture of teaching including 3 and 5 day courses. Moreover, the practice putting ground and lessons are provided for free to the hotel guests. 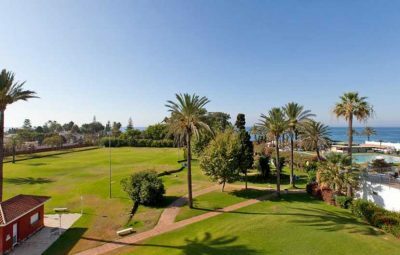 There is always a warm and friendly atmosphere around the Atalaya resort with its well established gardens and a charming chalet style club house and restaurant area, a great place to have a friendly drink on the terrace after the round before departing. The old course is one of the most popular parkland courses with lush fairways, mature eucalyptus trees, palms, colourful azaleas and other locals plants. 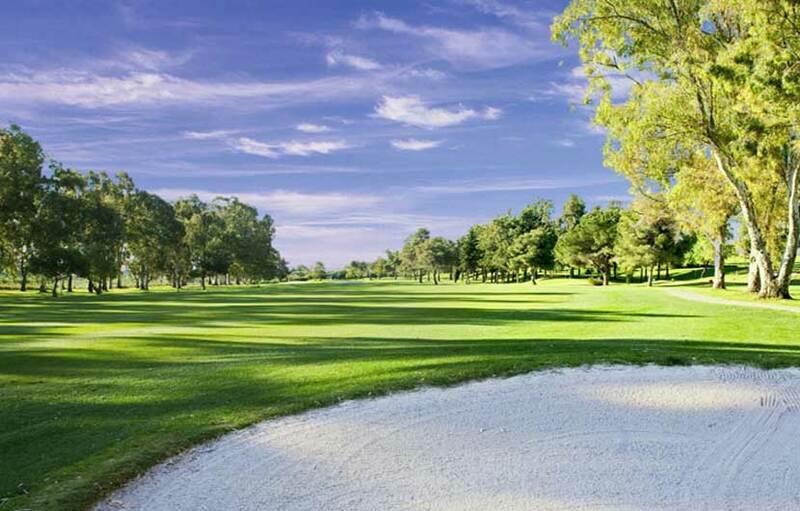 The old course is the undisputed king of the Atalaya Park Golf Resort, a flat quality parkland course with many bunkers, wide fairways and elevated greens. 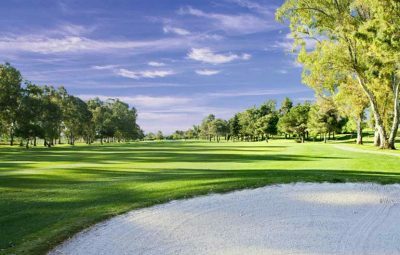 Although the lower handicapped player may find the challenges of the old course limited in some ways it is ideal for average golfer who can open up their shoulders on wide fairways without the threat of losing to many balls along the way. The greens are cleverly contoured to and quick and will make you think hard about every putt. The Atalaya New Course is the baby sister of the old course, which is shorter with a few more hills to negotiate. However you will be hard pushed to find a better value course on the Costa del Sol during the high season. The 18 hole New Course was designed by Paul Krings and opened in 1992 and is a good test for players of all abilities and considerably more challenging than the Old Course. The first hole is straight forward around the flat fairways of the Old Course and then winds up into more difficult hilly terrain before meandering down again to the lower levels. The 18th hole lays by the old course and is a great finishing hole to the round. The narrow sloping fairways and several lakes of the New Course will test player’s drive and ball placement skills. The Bermuda fairways are lined with fragrant wildflowers and gorse bushes and much of the New Course looks back onto the dramatic outline of the La Concha mountains.